Sometimes I find fancy plating sort of silly. It seems this chef, who goes by the Instagram handle @chefjacqueslamerde, does too. 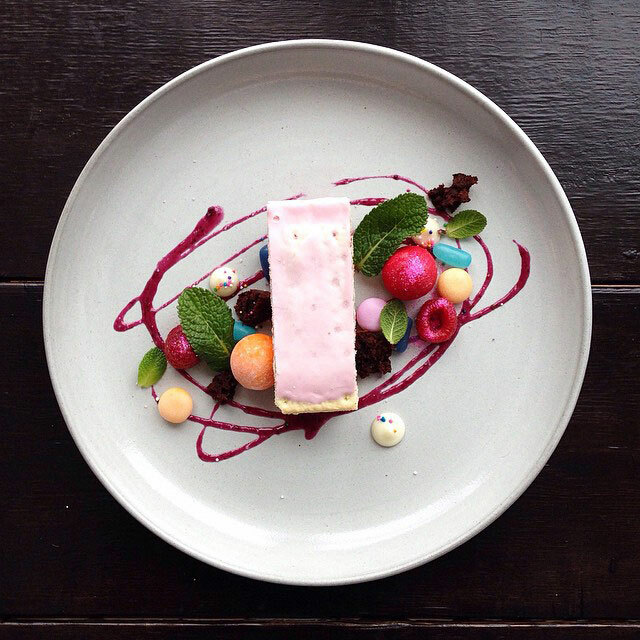 Take a gander at his spoofs on fancy plating using candy and junk food with a sweet example below: "Raspberry Poptart parfait w/ Vanilla Snack Pack and Grape Crush scented gel and enhanced with Mike N Ikes, Cry Babies and Fruity Mentos." I think its the Snack Pack that elevates this one to a whole new level. TGIF!